The TTG-101 Thermal Test Target Generator is an essential hardware component used when evaluating the performance of complete thermal imaging systems. 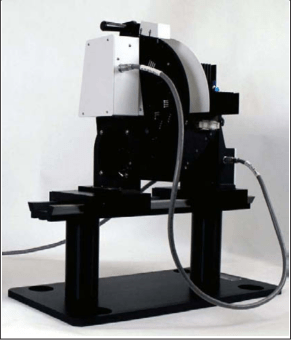 It may be used as a standalone instrument for making subjective measurement of MRTD and MDTD, or as part of a complete metrology system including a signal acquisition device and the I-SITE™ software package for evaluating these and other parameters objectively. 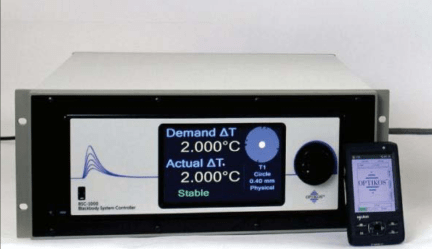 The recent development of the BSC-1000 Blackbody System Controller has significantly improved the interface between the proven target generator and the user or system computer alike. The TTG-101 head comprises an extended area variable-temperature source and an ambient-temperature target. In differential mode, the source maintains a preciselycontrolled temperature difference with respect to the target. 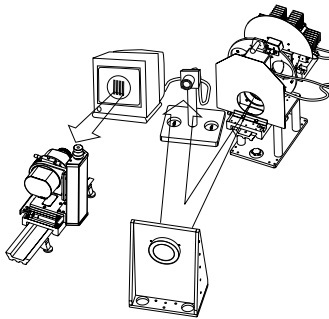 Infrared radiation from the source passes through one or more aperture patterns cut into the target to produce a pattern of thermal contrast in the image plane of the imaging system under test. The relationship between the contrast in the image produced and the known temperature difference and spatial frequency of the target pattern can be used to determine the MRTD and MDTD for the system. When special targets are used with the I-SITE™ software, several other important imaging system parameters may also be measured. Please consult with an Optikos engineer to determine the most appropriate targets for your application. 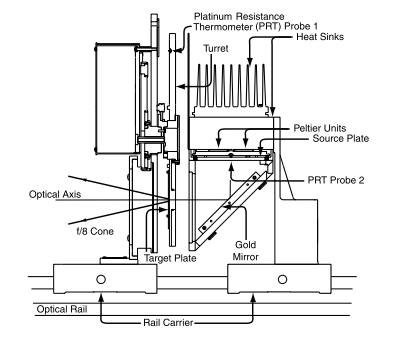 The measurement of MRTD requires the TTG-101 Thermal Test Target Generator. A reflective collimator projects the source at infinity into the imager under test. 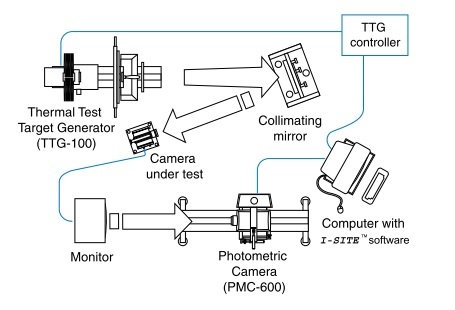 In the system depicted the imager output is measured on its external display using the PMC-600 Photometric Camera. Electronics unit: Contains the thermal and turret wheel control circuits with touchscreen control. Individual plates sold separately. Please consult with an Optikos engineer.